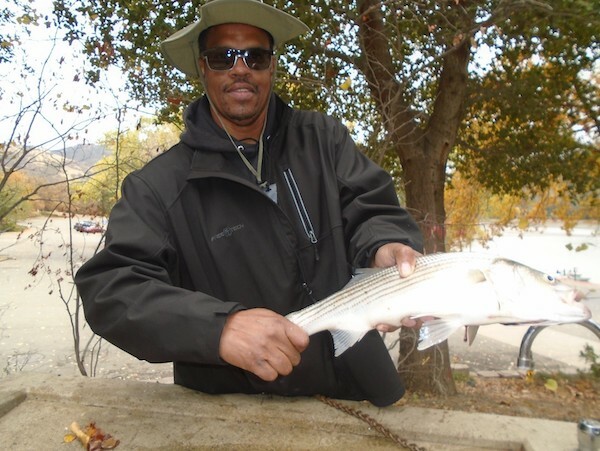 Lawrence A. from Livermore, CA caught a 3 1/2 striper using night crawlers by the Dam. 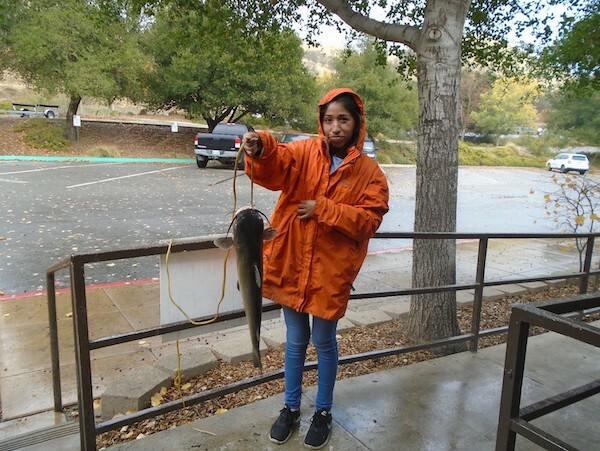 Coldwater catfish are also out feeding in the lake as the rains start. Nightcrawlers are going to be the better bait to use, although we recommend trying anchovies too. The catfish are going to be found in the shallow water, especially along the west beach if you are fishing from shore. Many anglers are hooking up with these strong catfish out in the upper narrows as well. The water is perfect for trout! Many anglers are limiting out using Powereggs with fluorescent white color, chartreuse orange mice-tails, or garlic Powerbait. 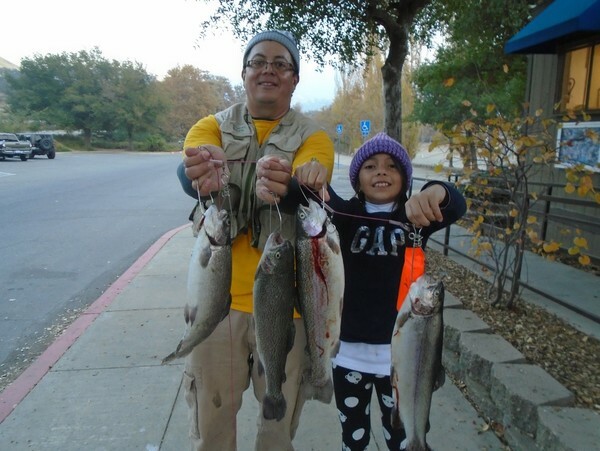 The west beach across from the marina has become the best place to shore fish for trout. If you have a boat, the island in the lower narrows and the coves out in Swallow Bay are offering prime trout fishing right now! Bass fishing is beginning to slow down with the advent of the colder weather. If you are determined, we recommend working worms or spinners along the bottom or near rocky points or shoreline with woody debris nearby. The striped bass are running around the marina and the south end of the lake chasing smaller trout. 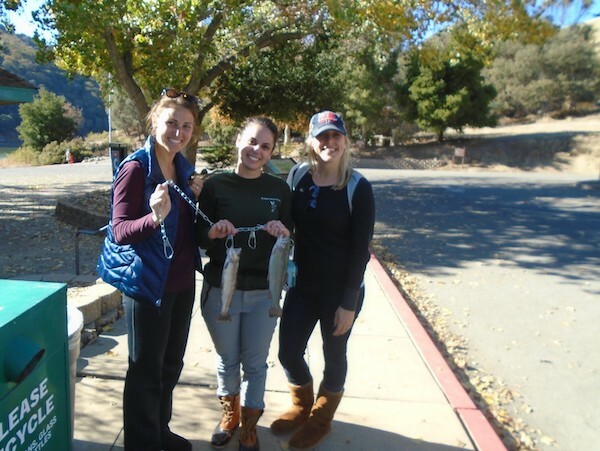 They are largely chasing trout, even chasing them right out of the water! Larger swimbaits are the best bet to get a striper. Anything that mimics rainbow trout swimming movements is key.